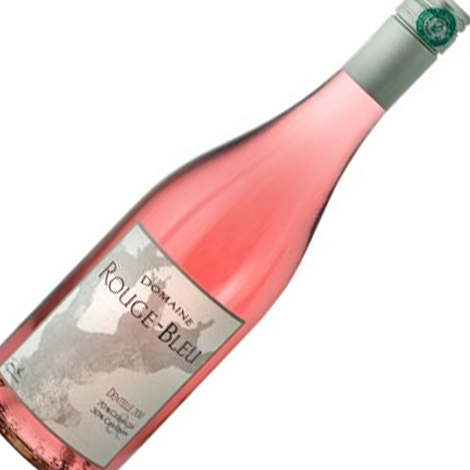 Colour: pale salmon pink Nose: fresh red berry fruits, rose petal Palate: elegant Provence-style rosé. Aromatic notes of raspberry, grapefruit and white fleshed peach with a hint of nutmeg. Crisp acidity with a well balanced finish. 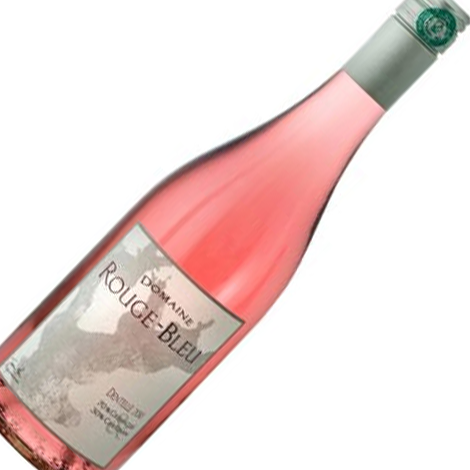 A wonderful aperitif, this rosé is delicious either with food or on its own. Enjoy with shellfish, seasonal salads, barbecued chicken and fruit desserts. Situated in Sainte-Cécile-Les-Vignes, Domaine Rouge-Bleu uses organic farming principles on all of its 9ha, of which four lie in the Côtes du Rhône appellation.The low yield is the natural outcome of our old, deep-rooted vines that sit on a stony soil of ancient riverbed, which, when coupled with the Mediterranean climate of long, hot, dry summers (including the mould-inhibiting Mistral wind) gives the perfect environment for berry maturation. Harvested early in the season to retain the natural acidity of the fruit, our grapes are hand-harvested at sunrise and brought to the cellar in small containers for direct pressing. Fermentation takes place in small porous concrete tanks that, along with temperature control, retain the freshness of aromas and flavours. Brief maturation in tank before being bottled with light filtration at the domaine in the January following the harvest.